Finally! After a long hard search you've finally found your new car and are ready to hit the road. Despite your eagerness to hear your engine purr don't let the temptation of the open road lead you to lose your licence, especially with new laws affecting driver licences in SA. 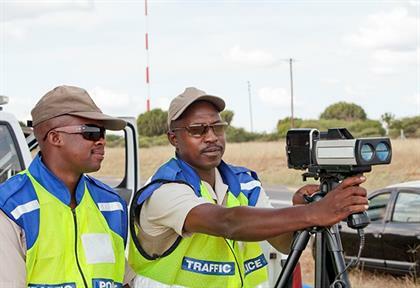 After a decade of speculation and waiting, the Administrative Adjudication of Road Traffic Offences Bill (Aarto) is set to be signed into law. Aarto's main goal, says the Transport Department, is to "make roads safer by removing habitual traffic offenders from South Africa's roads and highways". Of course, while most will agree that more needs to be done to improve road safety, government's last attempt at regulating drivers (i e e-tolls) caused more chaos than order. 1. The Aarto Amendment Bill, if/when it is signed into law, will apply everywhere in South Africa. 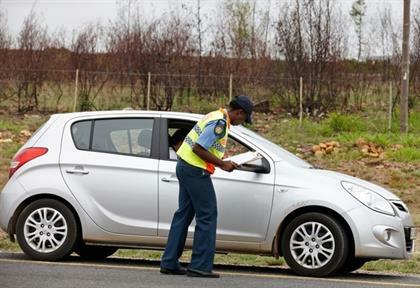 "The 'old' system of issuing and prosecuting traffic fines will fall away. There will be no summonses to appear in court, so waiting for one will be both, fruitless and severely detrimental to you," says Dembovski. 2. Under the Aarto Act, there is no need for a traffic authority to prove your guilt. "You are regarded as being guilty, unless you prove that you are not. It is your duty to act if/when you are served with an infringement notice. Traffic fines are treated as little more than invoices," says Dembovski. 3. The Amendment Bill allows infringement notices and other Aarto documents to be sent to you by any electronic means. "This includes email, SMS and social media and any document sent is deemed to be served on you 10 days after it is sent, even if it is posted," says Dembovski. 4. The Aarto Act starts off with an infringement notice, which is followed by a courtesy letter and finally, if you take no action, an enforcement order. An enforcement order blocks you from renewing your vehicle licence disc/s, driving licence card and, if you have one, professional driving permit. 5. All the "elective options" available to you must be exercised within 32 days of the service, or presumed service of an Aarto document. A 50% discount on the fine applies for 32 days from the service or presumed service of an infringement notice. On the 33rd day, the discount falls away. No reinstatement of the discount, or other discounting is allowed. 6. If you were not the driver at the time of an alleged infringement you may only nominate the driver within 32 days of the service of an infringement notice. "Wait one day longer and you will have to take the rap for the other person. You may make a written representation but need to bear in mind that what you say in that representation binds you in the appeal process, if your representation is unsuccessful," says Dembovski. an enforcement order is issued. 8. All licensed motorists starts with zero demerit-points. Different numbers of demerit-points apply to each infringement. They also apply to offences. These are prescribed in Schedule 3 of the Aarto Regulations. The maximum number of demerit-points you may incur and still retain your driving licence is 12. If you exceed 12, your licence is suspended for three months for each demerit-point over 12. e g 15 demerit points is a suspension of nine months. 9. Demerit-points diminish at a rate of 1 demerit-point for each three months. There is no other way to reduce your demerit-points. Compliant drivers cannot accumulate a credit balance, or merit-points. The points-demerit system is what its name implies. It is not a "rewards system". 10. During the suspension period, you may not drive. If you do and you are caught, you will be charged with a criminal offence and can face imprisonment. If your driving licence has been suspended twice and you again accumulate more than 12 demerit-points, your driving licence will be cancelled. Only once the third prohibition period has elapsed, you will have to start from scratch, with a learner's licence, if you want to drive again.